A selection of the best 5 star hotels in Malta showcasing the finest hotel rooms, most luxurious spas and top restaurants available. 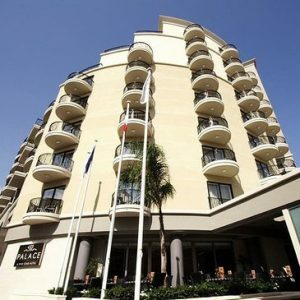 Find upscale accommodation in Sliema, Valletta and St Julians and book hotels with sea views. 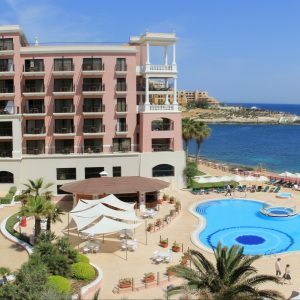 Compare hotels in Malta in city centres, on the beach and overlooking a harbour. 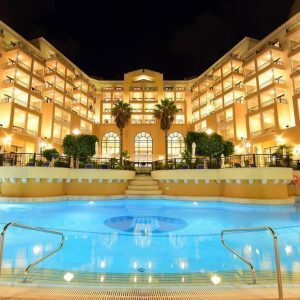 Topping the list of best five star hotels in Malta is the Excelsior which is located close to the centre of the capital city and overlooks the harbour. The facilities at this hotel are second to none with a luxurious spa, gym and the choice of indoor and outdoor swimming pools. A huge sunbathing terrace has uninterrupted views over the sea and plenty of room to relax. The dining rooms have floor to ceiling windows and an a la carte offering fine dining of the best standard. The reception and public areas of the hotel are large, airy and elegantly decorated. Standard rooms are traditionally furnished and the sea-view rooms have balconies and French windows. 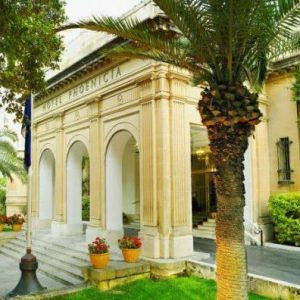 With a convenient location just a 10-minute walk from all the sights of Valletta, the luxury Hotel Phoenicia stands next to the 16th-century city wall. It boasts a six acre garden filled with colourful plants and a peaceful gazebo. The building itself has an upscale old-style charm, and the service offered by the staff is top quality. A new infinity pool with views across the harbour, a gym, fine-dining restaurant and a lounge bar complete the list of facilities. The rooms are spacious and filled with light and there are upgrades available that include a balcony and views over the harbour or city. For a family-friendly 5-star hotel, The Westin Dragonara is an excellent choice. This resort hotel is on the edge of the sea with direct access to the Mediterranean. 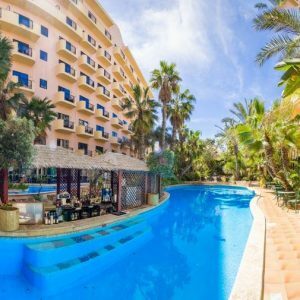 The pool is surrounded by a wide sunbathing terrace complete with palm trees, a whirlpool and outside bar. A second outside pool is open in the summer months, and there is a further pool indoors as well. A gym and a menu of spa treatments are available, as is a full range of water sports. The 24/7 Dragonara Casino is part of the hotel and is a great place to head in the evening. The bedrooms at the Dragonara are smartly decorated and all of them come with a balcony. For a supplement there are sea view rooms available to book, as well as a choice of spectacular suites. 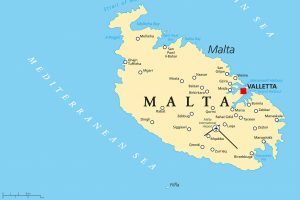 Located a 15-minute drive from the capital of Valletta, the Hilton Malta is situated in the Prestigious Portomaso Marina. With no less than four outdoor swimming pools, a whirlpool plus another pool indoors, water lovers will enjoy their time at this 5 star hotel. There are three restaurants and four bars to choose between, and a list of spa treatments plus a gym at the health club. For the active guest, there is a tennis court and water sports centre as well. With 410 rooms, there is are standard, executive and suite accommodation to book. The luxury Corinthia Hotel lists six pools, a day spa, a gym, watersports centre and a choice of restaurants in its range of facilities. All this can be found next to the sea and just a few minute’s walk from the lively St George’s Bay. A private area on the shingle beach is just for hotel guests, and the health club has a fitness room, sauna and whirlpool. A romantic al fresco restaurant has a beautiful terrace with views across the sea and the swish cocktail bar serves up after dinner drinks. The rooms are sumptuously decorated and there is a choice of suites to book as well. Located towards the centre of the Island, Corinthia Palace is a peaceful and up-scale hotel with lush grounds and grand public rooms. 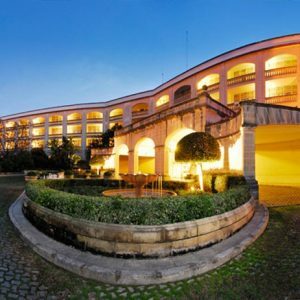 The hotel is close to the Presidential San Anton Palace, where the exotic gardens with fountains, a maze and bird aviary is a must-see attraction. 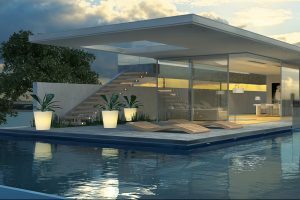 A sunbathing deck surrounds the split-level pool that has been styled like a temple, and there is another pool inside for the cooler days along with the gym. The Athenaeum Spa has relaxing treatment rooms with a menu of massages, facials and beauty therapies on offer. Three traditional restaurants and a bar serve up top quality food and drink, and the rooms are elegantly furnished and all have private balconies. 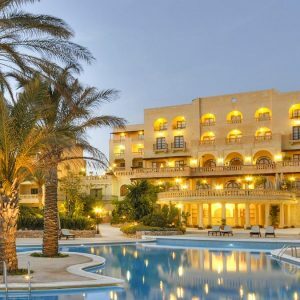 The Kempinski is a hideaway hotel on Gozo, perfect for a relaxing break away from it all. The building is sprawling and low-rise with plenty of space, and it has been beautifully crafted in local stone featuring limestone and terracotta flooring with wooden furnishings. The list of facilities available is long and makes this the best five star hotel in Gozo. The spa is well-known for its quality treatments and comes with a calming indoor pool, a hammam and whirlpool. Outside the free-form swimming pool sits in a huge sunbathing deck shaded by palm trees and gazebos. In the evening there are three restaurants to choose between, and there is plenty of al fresco dining tables on offer. 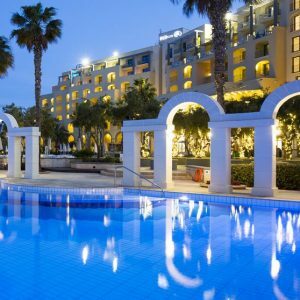 The Radisson Blu Resort and Spa has an enviable location on one of the best sandy beaches in Malta. The large hotel is grand and stylish with four swimming pools. The outdoor pools have limestone sunbathing decks with sea views, and the indoor pool is within the luxury Myoka Spa. Down on the beach, the hotel has a small private area exclusively for their guests to enjoy. Rooms all come with a balcony and a choice of beach view or pool view. 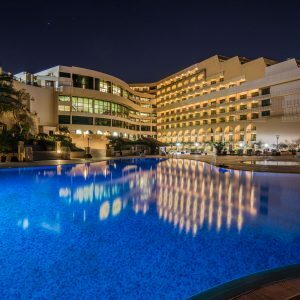 This modern 5-star hotel has an impressive spa which offers a thalassotherapy pool, whirlpools, a hammam, sauna and steam room as well as a Cleopatra’s bath. There are spa bedrooms too which have a massaging bed, a whirlpool in the room and a huge bathroom with wellbeing features to relax in. 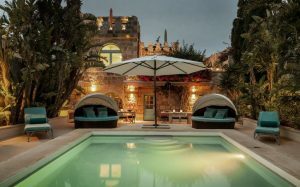 For real luxury, book one of the rooms that come with a private roof top pool. There are five different restaurants to dine in at the Fortina Spa, including a Thai restaurant, Indian cuisine and a pizzeria. The Mediterranean eatery has seating outside in the hotel’s gardens. There is an outside bar in the summer months serving up cool drinks from an island bar in the pool. Situated close to the waterfront in Silema in an exclusive area, the contemporary 9-storey Palace hotel boasts an infinity rooftop pool with far reaching views. The Marion Mizzi spa at the hotel specialises in Ayurveda treatments, including a range for children. There are two restaurants at The Palace, one on the rooftop offers Asian cuisine and the other serves a upscale buffet for breakfast, lunch and dinner. The rooms in this five star hotel mostly come with balconies and a city view, with some looking over the harbour. There are also individually decorated designer suites available, each one with a unique theme and style. 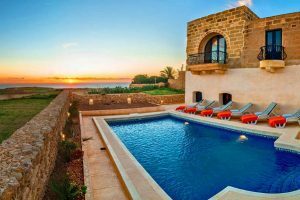 With a comprehensive list of the best 5 star hotels in Malta and Gozo, you can choose the perfect place to stay.